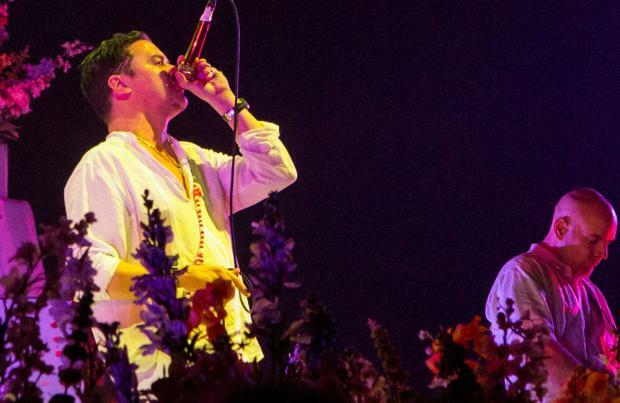 Faith No More's frontman Mike Patton doesn't care if people listens to their new LP because he thinks they are making "good s***"
Faith No More don't care if people listen to their new LP because they are making "good s***". The 'We Care a Lot' hitmakers insist they aren't bothered about the public reaction to their new record 'Sol Invictus' - which is their first in almost two decades - because they are such personal fans of the collection. When asked whether they think it will be fondly received, frontman Mike Patton said: "I have no idea! Who knows whether they will like it or not? I never wanted to be a 50-year-old guy making music [for] teenagers. I don't think any of us did. But all I can tell you is we're making good s**t. I don't care who listens." The band - comprised of Mike, keyboardist Roddy Bottum, bassist Billy Gould and drummer Mike Bordin - also spoke about their decision to ditch their record label and go independent for the album, saying it allowed them "freedom" as they could take their time and didn't have to meet any expectations from the music industry. Speaking to Billboard magazine, Roddy added: "We kept it in-house and behind closed doors. And we were fortunate to be able to keep it as insular as we did because we had no expectations or deadlines. Really, it's a chicken s**t way to do it. But at the same time it allowed us freedom."